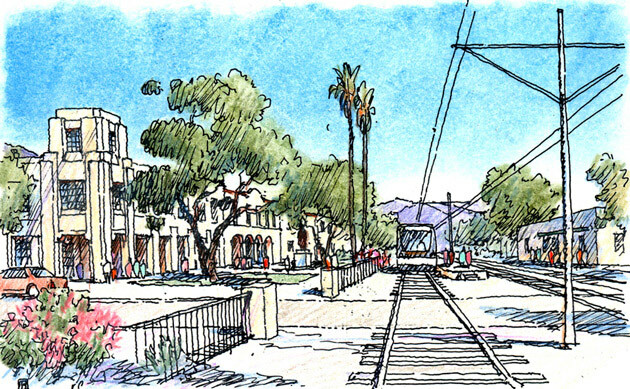 As a component of Azusa’s new General Plan and Development Code, Azusa Station established the new Gold Line light rail station as a northern anchor to the City’s downtown. 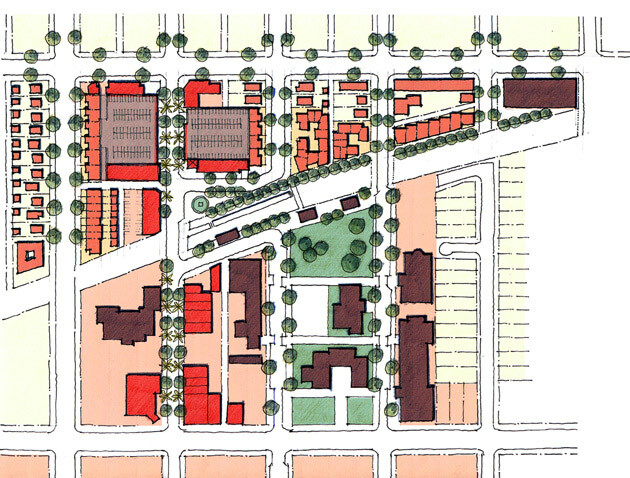 The Plan and Code identifies potential development possibilities in the area directly surrounding the rail station and establishes appropriate building envelopes, frontage types and parking ratios necessary to create a vibrant pedestrian-oriented environment. In conjunction with the non-profit foundation Gold Line Tomorrow, Moule & Polyzoides held a series of community-based design workshops to elaborate upon initial studies. The Plan, as it emerged through public participation, provides guidelines for the location, form and density of a park-and-ride garage, a grocery store, mixed-use buildings and various types of residential structures. 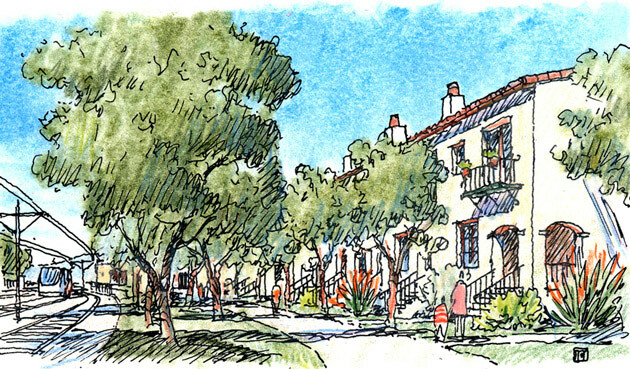 The Plan also reflects the community’s desire to incorporate historic structures such as the original Santa Fe depot and citrus packinghouse into the transit village.